The ML4 LED HeadLight is optionally supplied with HR / HRP Binocular Loupes incl. i-View loupe mount and with or without S-GUARD. 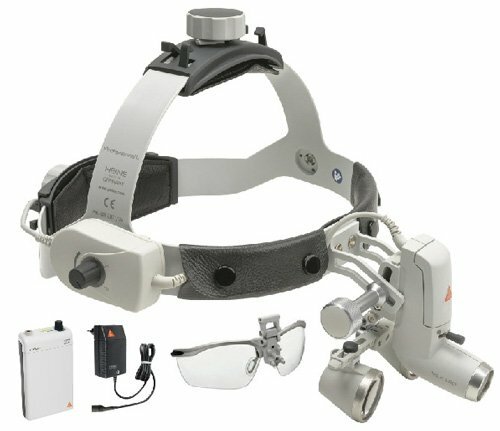 The binocular loupe is fully adjustable for every examiner and for every examination axis.HEINE S-GUARD: Rapid and simple symmetric adjustment of binocular loupes with splash protection by protective lenses.HEINE i-View for ML4 LED HeadLight: Provides any angle of view and flips up the optics independently of the illumination beam.